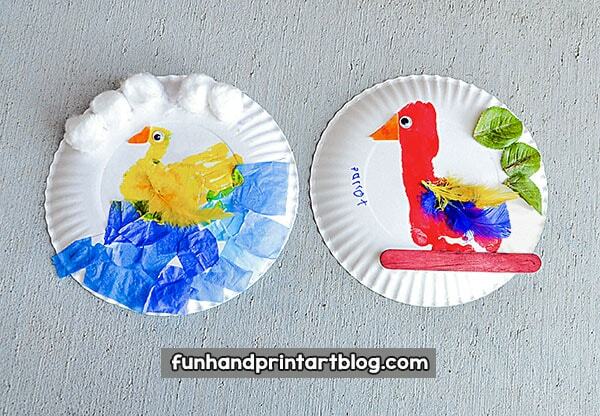 I loved the way our paper plate bird crafts turned out! 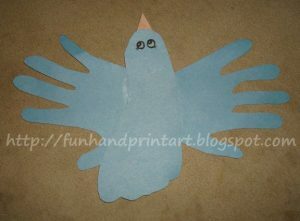 My kids made a hand print duck with tissue paper and a footprint parrot with feathers and fake leaves. 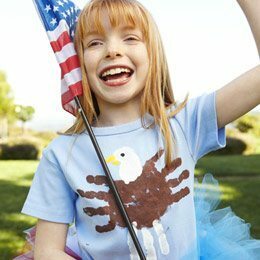 *This post was originally published on 10/16/2013 and updated on 7/31/2018. 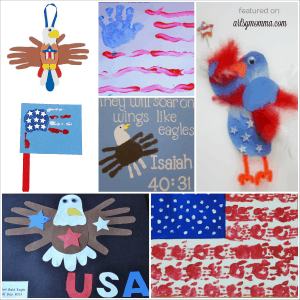 **We received a free Elmer’s Early Learners Academy Kit and compensation for this post. All opinions are my own honest thoughts about the products used. 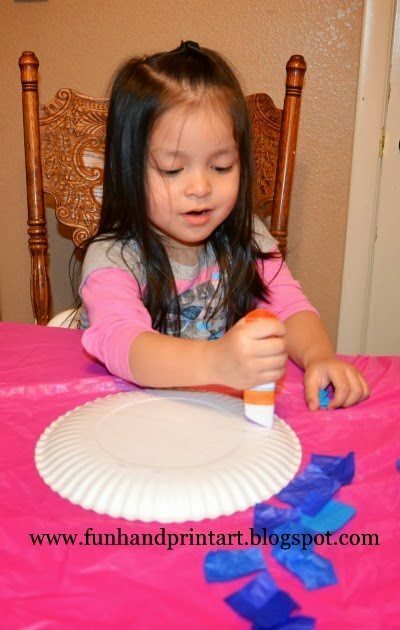 We were sent an awesome craft kit to try the new Elmer’s Early Learners glue pen and an Elmer’s Early Learners glue stick. 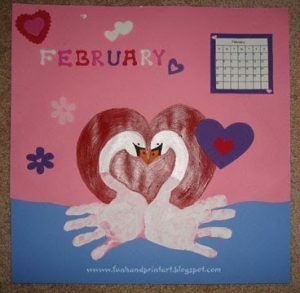 The box it arrived in was so much fun for the kids to decorate and now it can be used for storing craft supplies. 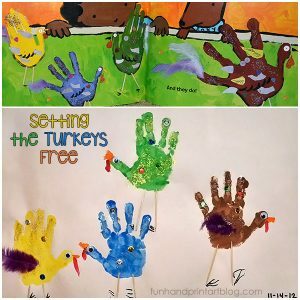 Other items you’ll need besides the glue sticks are: paper plates, kids paint and paintbrushes, tissue paper squares, cotton balls, feathers, fake leaves, googly eyes, and a wood craft stick. 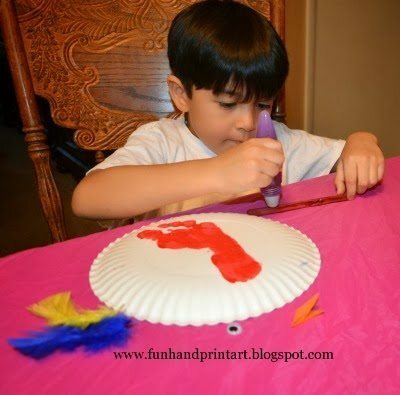 Start by placing a red footprint on the center of a paper plate. Let dry. 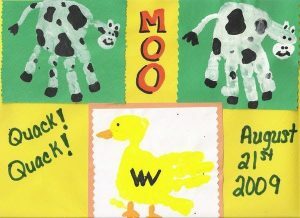 Next, my 5 year old used the purple glue pen to add on a googly eye, beak, and feathers. 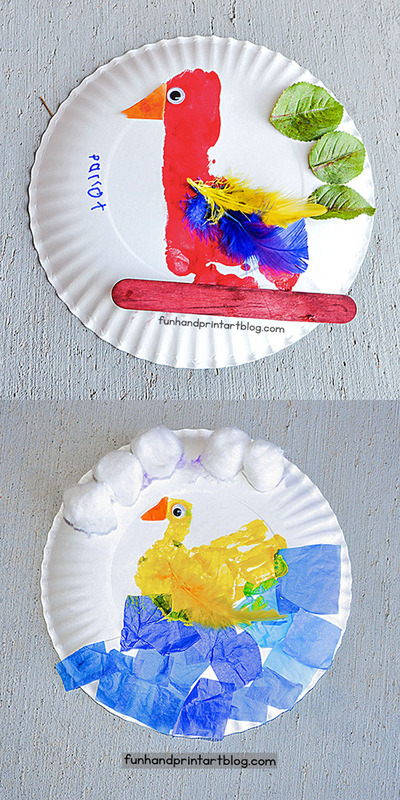 He also added leaves and a jumbo craft stick to represent the parrot sitting in a tree. For my 2 year old, I drew a wavy line on a paper plate to represent where the water would be. 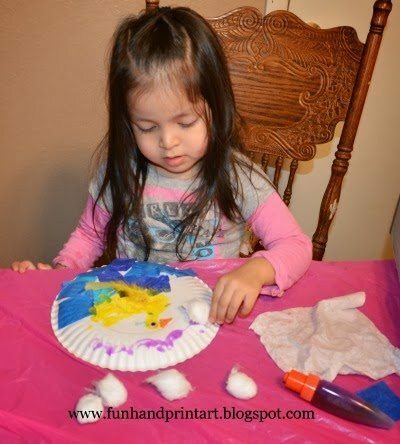 She used the triangular shaped glue stick to add glue on the bottom half of the plate, under the wavy line. 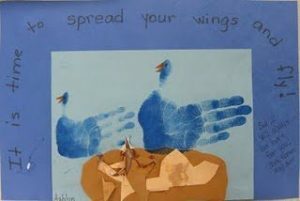 Then, she placed pre-cut square pieces of blue tissue paper over the glue to create the water. 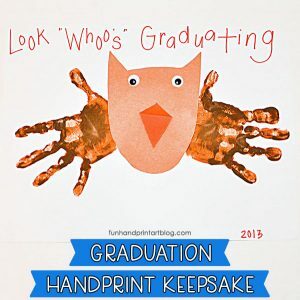 Next, I painted my toddler’s hand with yellow paint and made a handprint in the center. 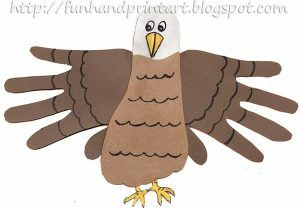 You will want the thumb to be facing ‘UP’ (opposite the blue tissue paper). 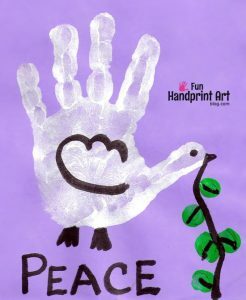 We also added a yellow thumbprint at the tip of the thumb to create the head. 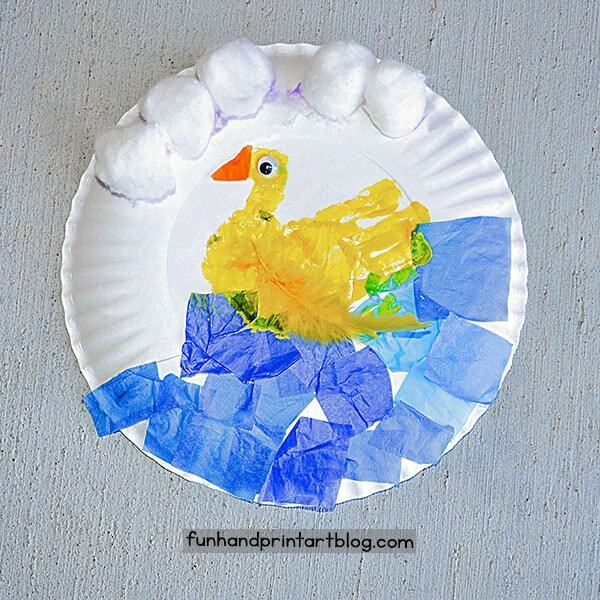 To fish her hand print duck, she used the glue pen to add on a googly eye, beak, and cotton ball clouds. 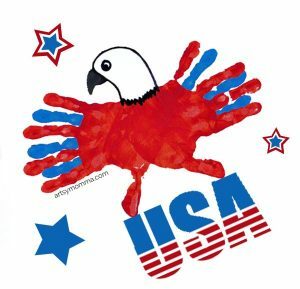 They have a unique triangler shape designed specifically for preschool-aged children to help kids develop fine motor skills such as those used for pre-writing. 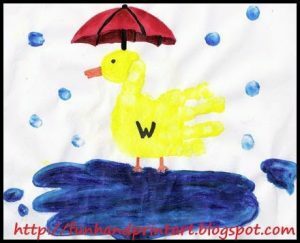 Like the motto of our blog, they encourage creativity and imagination. They don’t roll away! I also love that the cap fits on to the back so it doesn’t get lost….. a problem we often have! 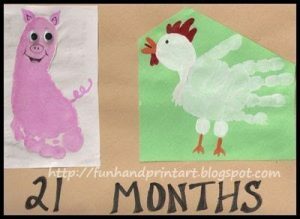 It goes on purple so the kids can see where they have already placed the glue, but still dries clear. 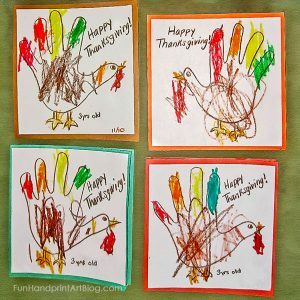 My son is in kindergarten and I love that it helps support his daily writing with the tripod grasp. 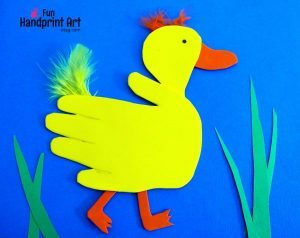 For another hand print duck idea that is mess-free, check out this Foam Hand Shaped Duck to go along with a super sweet story! 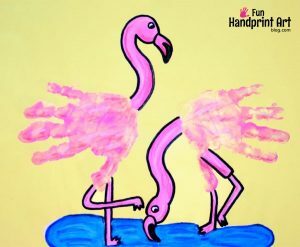 What handprint and footprint birds have you created? 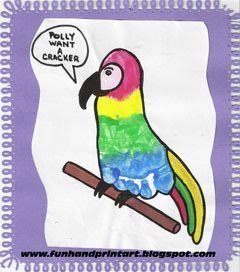 I like how colorful the footprint parrot is! 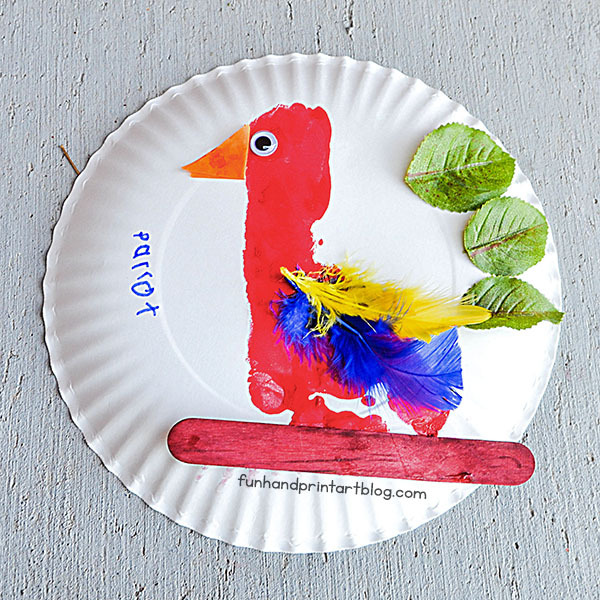 I also think the craft items used to embellish each bird plate make them extra fun for younger kids. 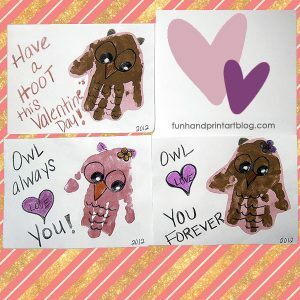 I love hand and foot print designs and these are really good. Thank you for sharing.